My take: Linda Francis Lee filled her novel with lovely and colorful characters who I couldn’t wait to get back to each time I had to stop reading. The story is rather heart-wrenching but never maudlin. I wanted to hug most of the characters at one time or another. I loved the flavor of magical-realism woven through the novel (think Sarah Addison Allen). Portia’s “knowing” seemed to work on everyone but herself. As she slowly figured things out it made for an ending that I found sigh-worthy and left me smiling. 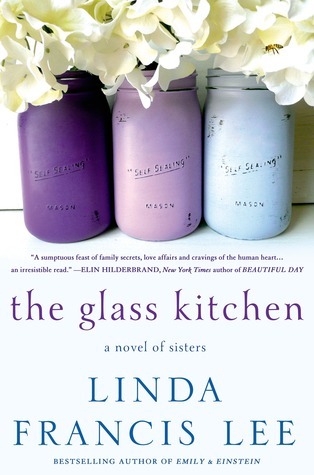 If you’re looking for a book that makes you happy each time you pick it up, a book about what makes a family, and a book about learning to accept oneself and others for who they truly are, you’ll want to read The Glass Kitchen.